Crisp cereal clusters with sliced almonds, chopped hazelnuts & honey. Naturally a source of fibre. The tastiest oats, naturally. Now with hazelnuts. Absolutely nothing artificial. Non GM. No added salt. 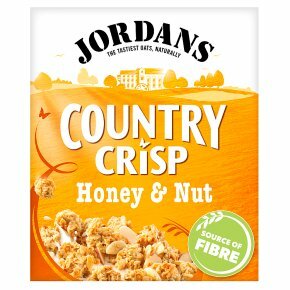 Suitable for vegetarians.Honey & Nuts: a classic combination Get ready for light and crunchy golden oat clusters baked with honey and a generous handful of sliced almonds plus roasted chopped hazelnuts. And the best part? They stay crunchy to the last bite.